The five words used in the previous scripture: “given by inspiration of God” is the one word “Theopneustos” in the Greek meaning God-Breathed. God breathed his word into the lives of men who then put it into written form either themselves or through scribes who wrote as they spoke. The three terms listed in the scriptures above “moved by the holy ghost” “revelation” and “given by inspiration of God” all equal “God-Breathed”. 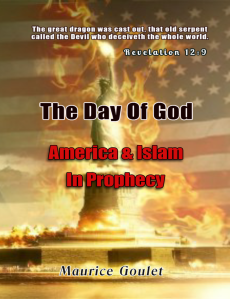 Many believe we are living in the last days. By revelation, Paul and John wrote concerning the end times that the whole world would be deceived by the devil and the final church of the age would be characterized by that which I have just described, attempting to serve God and man. I have been informed by many people that the devil cannot deceive the whole world as long as the body of Christ is still here. My argument is simply this. God’s word says we are strangers and aliens on this earth. This is not our home. We are ambassadors for Jesus Christ and we have the word of reconciliation. My next article explains how wrongly dividing the Word of God is the cause of all confusion and division. The Devil has truly deceived the world.